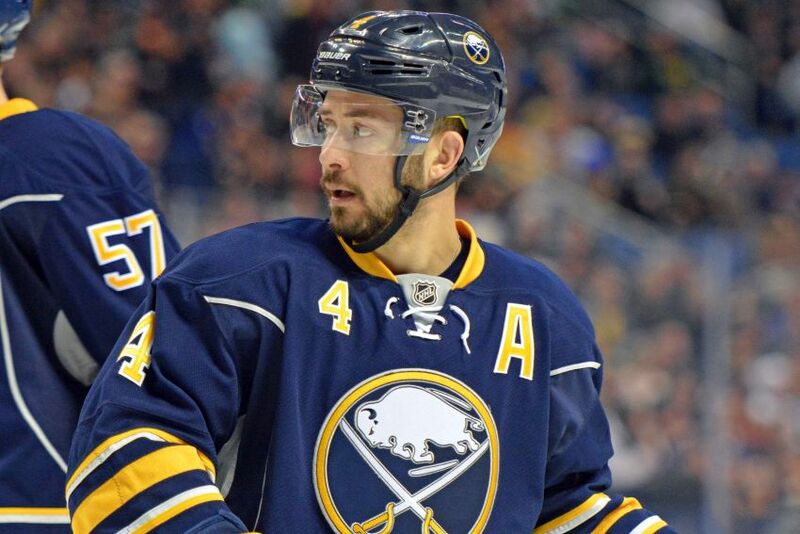 BUFFALO – The mindset of a player at the start of the season is never focused on building for the next one, Sabres defenseman Josh Gorges said. Of course, the Sabres earned two points only 23 times. This season wasn’t about winning, and players knew that. Along the way, Gorges said, players lost sight of their main duty. There’s lots of work ahead. To Gorges, who underwent surgery for a micro-fracture in February, another wretched season presents an opportunity. How do the Sabres change? Gorges, whose season ended Feb. 10, has a six-month recovery. His injury eventually became too much to handle, so he decided to have surgery. His recovery is on schedule or even ahead, he said. He should be ready by mid-August. Check back later for much more. – Center Tyler Ennis will represent Team Canada at the upcoming world championship. – Center Mikhail Grigorenko is going back to Rochester. – The NHL officially announced the draft lottery will take place Saturday at 8 p.m. The Sabres have the greatest odds, just 20 percent, of getting the No. 1 pick. Pingback: Sabres Links: Locker Clean Out, Salary Cap Lowering?